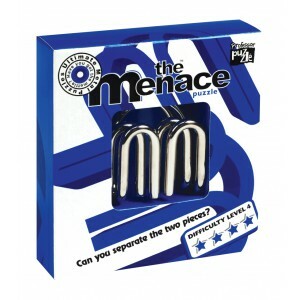 We feel that the Menace can possibly be described as the greatest metal puzzle ever invented. It holds that very thing that humans hate most about non living objects – it is almost certainly cleverer than they are. If you have no patience, don’t buy it. If you have a very small brain, don’t buy it either. And if you fancy yourself as a bit of a problem solver, you may have met your match. The genius of this puzzle is the fact that a toddler could reconnect the pieces when separated in seconds. But once connected they are seemingly impossible to separate again. 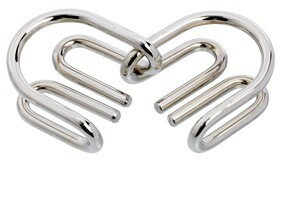 Two identical metal bars twisted into a simple shape really do not come more menacing than this. 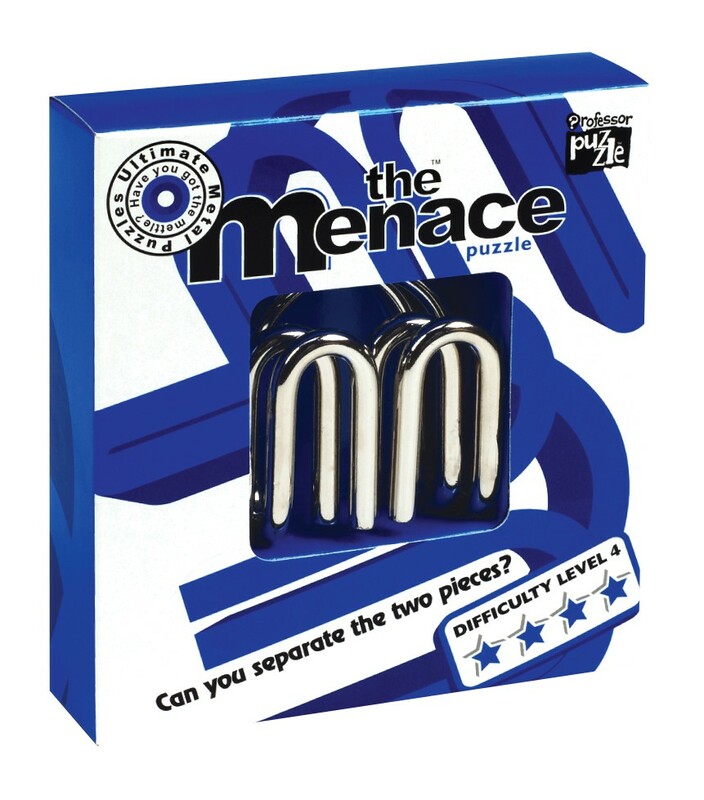 And if you do separate the pieces, simply put the puzzle back together the opposite way around for more endless hours of mind bending fun!